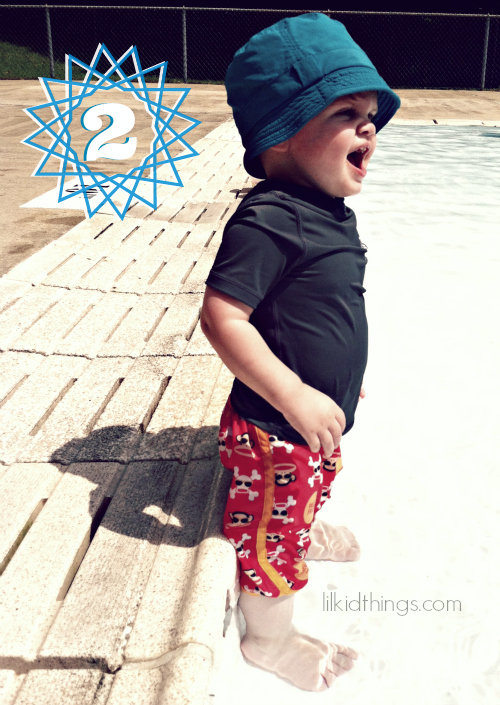 Home Lifestyle	Calvin is TWO! July is a big birthday month in my family. How big is it, you ask? Well, between my immediate family and that of my husband, we have SIX birthdays in July. You guys, that’s a lot of cake. 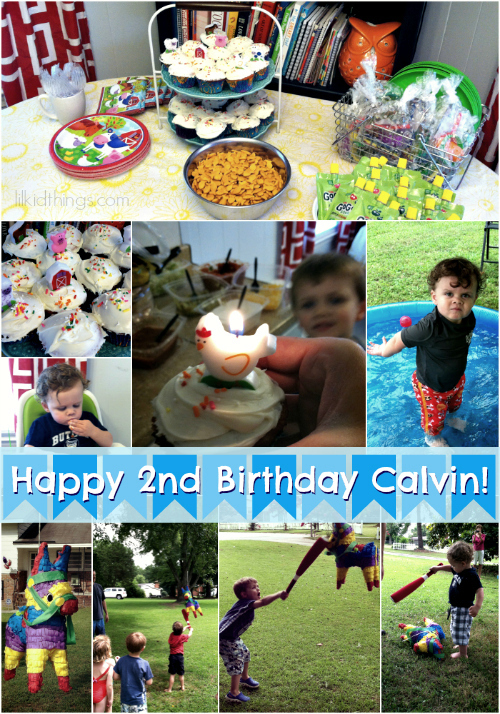 A couple weeks ago, we celebrated Calvin’s second birthday here at the house with cupcakes, snacks, lots of water and a…pinata? You heard me! Moe’s catered our party (more on my work with them later this week) and also sent us a pinata full of candy to enjoy! The kids had a blast trying to bust it open, but in the end it was my husband who finally (and literally) ripped into it. And despite accidentally catching myself and a friend on fire (and burning a hole in his shirt) I have to say the party was awesome! At one point, I walked over to Calvin who was standing in the kiddie pool just looking around and he looked me in the eyes and said, “I sooo happy!” I could have ended the party right then and there. It was basically the sweetest thing I have ever heard in my life. The kiddie pools were perfect and the sprinkler was a huge hit! Thanks to everyone who came out to play and celebrate our little guy! I remember the year from 2-3 as being really fun with Oscar and I am so looking forward to it this time around! This is the year when language really starts to explode and I love watching the sense of humor develop. Hooray for two! Look out Katniss, Joe Lieb, friend on fire is going to win the hunger games. Also, yaaaa Calvin is 2.